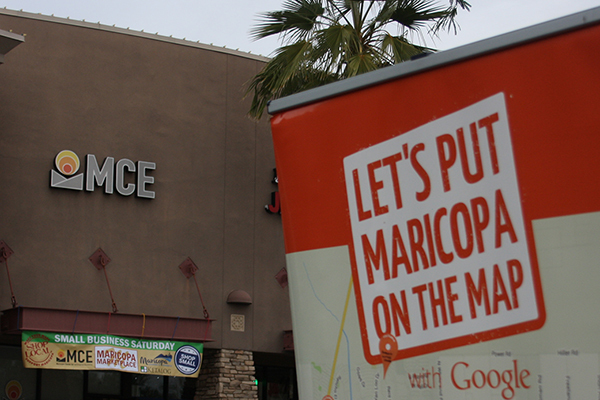 MCE hosts an array of local businesses for Maricopa Marketplace Saturday. A boat trip, a health workshop and an artist reception are part of this week’s activities in Maricopa. Below, Maricopa Center for Entrepreneurship invites everyone to their Maricopa Marketplace in their parking lot on Saturday. For details on these and other events, or to add your own, visit InMaricopa.com/Calendar. Maricopa Historical Society talks history of sheep in Arizona at 5:30 p.m. at Maricopa Public Library, 41600 W. Smith-Enke Road. Canyon Lake Dolly Boat Tour leaves at 9 a.m. from Copper Sky Multigenerational Center, 44345 W. Martin Luther King Jr. Blvd. Coffee with Friends of the Maricopa Library is at 1 p.m. at Maricopa Public Library, 41600 W. Smith-Enke Road. Creative Sisterhood meets at 9 a.m. at Santa Cruz Elementary School, 19845 N. Costa del Sol Blvd. Harrah’s Club 777 Toastmasters met at 3 p.m. at Harrah’s Ak-Chin Casino, 15406 N. Maricopa Road. AWANA is at 6:30 p.m. at First Baptist Church of Maricopa, 18705 N. John Wayne Parkway. Maricopa Chamber Breakfast is at 7 a.m. at Elements Event Center at Ak Chin Circle, 16000 N. Maricopa Road. Healthy Living Workshop is at 10:30 a.m. at Copper Sky Multigenerational Center, 44345 W. Martin Luther King Jr. Blvd. Art & Entrepreneur Mixer with Brad Kammeyer is at 5:30 p.m. at Maricopa Center for Entrepreneurship, 20800 N. John Wayne Pkwy, Ste. 108. Acoustic Open Mic is at 7 p.m. at Raceway Bar & Grill, 49237 W. Papago Road. Tortosa Community Spring Garage Sale is at 7 a.m. at Tortosa Community, 36340 W. Picasso St.
2nd Saturday Maricopa Market is at 8 a.m. at Sequoia Pathway Academy, 19287 N Porter Road. MPD Free VIN Etching is at 9 a.m. at Bashas’ Supermarket, 21044 N. John Wayne Parkway. Maricopa Marketplace is at 9 a.m. at Maricopa Center for Entrepreneurship, 20800 N. John Wayne Parkway, Suite 108.